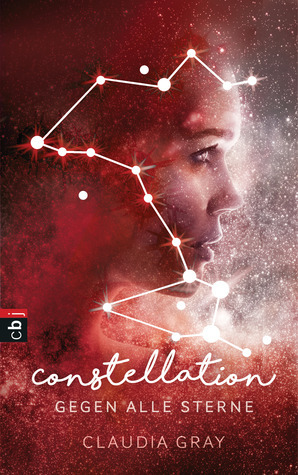 Naturally, for this week’s theme I turned to YA, since there’s never a shortage of covers featuring lovers in this genre. 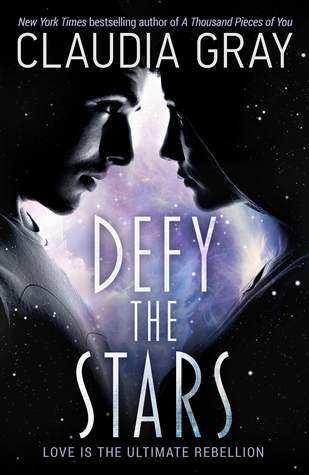 Defy the Stars was also narrowly going to be my Friday Face-Off choice a few weeks ago when we did the topic “Purple” before I decided to go with another title, so I’m glad this book got a second chance to be in the spotlight. 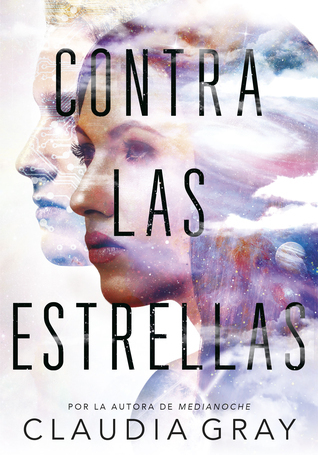 The story follows Noemi Vidal, a seventeen year old soldier for her planet, Genesis. Ever since her people split from Earth many generations ago, the two sides have been fighting. However, Earth has a powerful weapon on their side: Burton Mansfield, a scientist and cybernetics genius who designs androids, or mechs, for the purposes of war. In the face of this tireless army, it’s only a matter of time before Genesis is overwhelmed and destroyed. Meanwhile though, on a battled-damaged and abandoned ship called the Daedalus, a mech named Abel has been living alone for the last thirty years, yearning to be reunited with his creator. As the most advanced mech the galaxy has ever seen, he is Burton Mansfield’s greatest and most perfect creation, though in the eyes of Genesis, he is an abomination. For the past three decades, Abel’s programming has been learning and evolving, becoming more human. 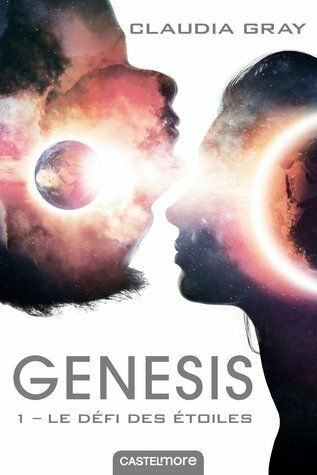 Then one day, Earth launches a surprise attack on Genesis’ ships, leading a Noemi to chance upon the Daedalus and Abel in her desperate attempt to escape, and thus begins a tale of forbidden love and fast-paced adventure among the stars. I’m going to have to go with the Hot Key Books edition, since I love the interesting negative space and the lovely shades of purple used in this design. There’s also a fierce kind of intimacy captured between the two models gazing at each other in this image, which really caught my attention and made this cover stand apart from the others. I really like the colors! It’s nice when you discover new editions in your language! I don’t really care for any of these covers really which is sad because I love purple. However, if I had to chose one, I’d go with the same one you chose. I do like the couples facing each other as well as the others. Yeah, I also prefer having people on my covers, which is why I prefer it to the US version. I actually like the French version best! These are all really good covers, not something you see often. 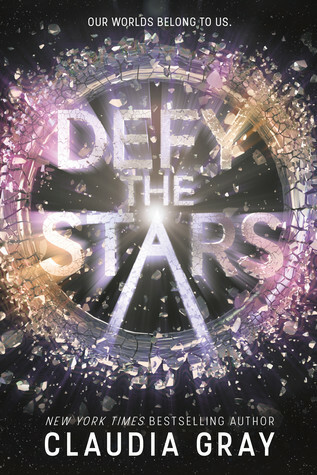 Not really my kinds of covers…that kind of title really deserves a beautiful space cover! Yes, I do love the dramatic title…seems appropriate that the cover should match it somehow! Yes, good choice: it’s intense and at the same time quite simple. I quite like the Spanish cover but overall my favourite is the same as the one you chose. I like the feel of it somehow. Agreed, there’s a good atmosphere to that one!